The politics of old age in Europe have entered a critical new phase. This timely collection of essays by leading authorities examines the new politics of old age from the perspectives of individual countries and the European Union as a whole. Case studies of Austria, France, Germany, Italy, the Netherlands, Sweden and the UK provide a broad representation of EU countries. In addition there are case studies of Hungary and the USA to provide comparative reference points in Central/Eastern Europe and North America. Each country study provides an overview of the politics of old age (main developments, organizations and actors), an account of recent developments and measures taken by national or local government to increase the participation of older people, analysis of the barriers to participation and a forward look at the likely direction of policies, forms of representation and generational relations. The country examples are preceded by European overviews of political participation and representation, the machinery of representation and recent innovations. The authors provide an introduction to the key issues and review the main lessons in a concluding chapter. 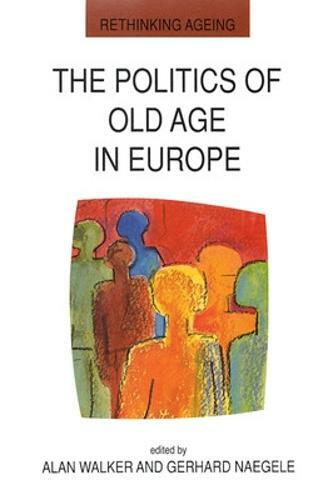 The Politics of Old Age in Europe will be of interest to policymakers and practitioners working with older people, as well as students of social policy, political science and gerontology.